If you are, a die hard Science Fiction fan or someone who hasn’t read much Sci-Fi Amazon has put together a list of its top sellers available now for the Kindle reader. Having read Science Fiction for the last 40 some odd years having sci-fi on the Kindle is a dream come true. Not only can you read the classics by Robert A. Heinlein, Arthur C. Clarke and Andre Norton but obscure and forgotten writers as well. Kindle also opens the door to new writers who may become future Sci-Fi greats. Science fiction has changed the face of America John W. Campbell jr. wrote about Atomic Terrorism in the 40’s and it is a very real danger today. Stories about the future of science and technology have inspired many to become Astronauts, Scientists and Engineers to bring about a better world. Who knows maybe if the writing bug bites, you may find yourself on The Kindles Top Seller list. Here are the current Top-Ten you may want to borrow through the Amazon borrowing program or purchase for your eBook collection as I and many others do. An iceberg has broken off Antarctic ice shelf the size of Manhattan. A survey ship sent to study global warming and its effects on the ice shelf spots something strange, a WW II Nazi submarine imbedded in a strange structure jutting out of the ice. The report sent out and picked up by a secret society called the Immari who want something from inside the structure at all costs. Now it’s up to a Dr. Kate Warner who has discovered a cure for autism while hiding from her past in Jakarta. 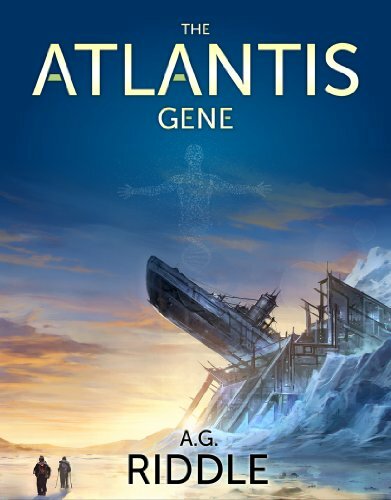 Together with agent David Vale to try and stop the Immari from getting Dr. Warner’s discovery and the secret from Antarctica that together could spell the end of humanity in this nonstop action packed novel that you can’t put down. 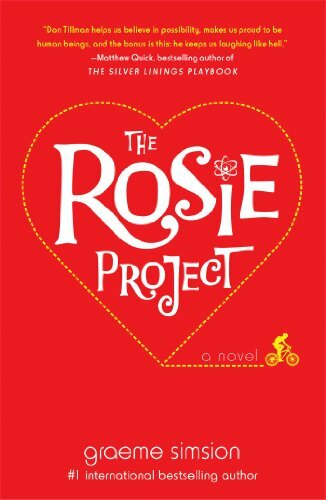 The Rosie Project by Graeme Simsion is Number 2 on our list of the best Science Fiction Kindle books and is book written by a favorite bestselling international writer. If you like the Big Bang theory you will enjoy this light hearted romantic comedy written around Asperger’s syndrome as Don Tillman approaching 40 and never having had a second date with a woman attempts to find a wife, while missing all the social clues to make his search a success. This rates as a great feel good book and yet not Chic Lit. Men will find Don’s misadventure amusing as his quest for love keeps going wrong. 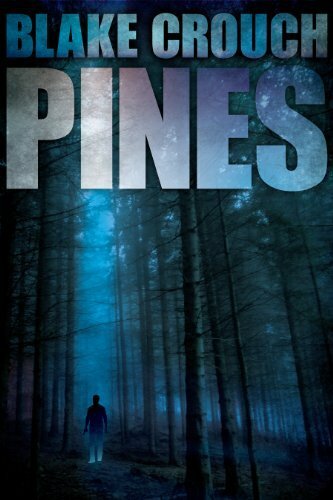 Number 3 on our list by Blake Crouch titled ”Pines” and is book one of the “Pines series”. Evolution is continuing in today’s world and it can be deadly. Ethan Blake awakens in the woods near Wayward Pines and has partial Amnesia after a car accident on the outskirts of town. He discovers that he is a Federal Agent who has been sent to discover the fate of two missing agents sent there previously. He discovers the mangled body of one and realizes that there is much more to this idyllic town than meets the eye and it harbors a dark secret. 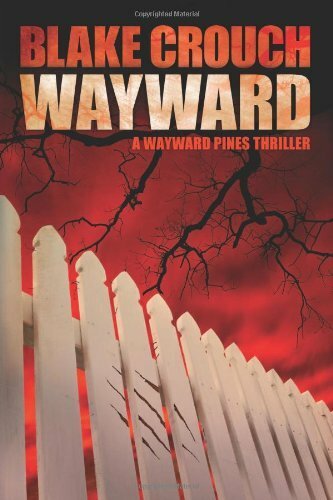 His sanity and his life are both now in jeopardy as he tries to unravel the hidden secrets of the Pines. 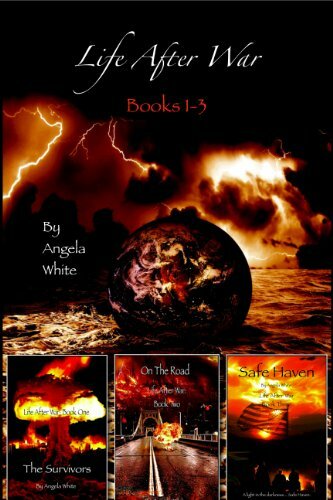 At number 4 is “Life after War: Books 1-3” by Angela White is a bargain as you get 3 books for the price of one. Some of you may remember, back in the 70’s the many post apocalypse adventure series like the “Out of Ashes” series by Writers like William W. Johnstone and “Deathlands” by James Axler or “The Stand” by Stephen King. This series of books is written in the same vein. Seven gifted survivors in a post holocaust world are destined to rebuild a nation with only the myth of Safehaven to sustain them, a forgotten Eden like island where civilization and peace still exists. At 820 pages it is a long read but worth the time and effort. Number 5 “A Learning Experience” by Christopher G. Nuttall. We are not alone and out there in the black are some pretty nasty aliens. When some aliens come to Earth to enslave a few humans for a quick profit, they make the fatal mistake of shanghaiing Steve Stuart and his friends. Who just happen to be Ex-military Vets and not very happy about the whole thing, the aliens seem unaware of all that their starship can do and Steve and friends make short work of them. Steve is now in possession of a alien starship. Now What? Fans of BBC’s Blake’s 7 or the Long Running Perry Rhodan Space Opera series will appreciate the twist on the “Humans get alien technology” genre of stories. 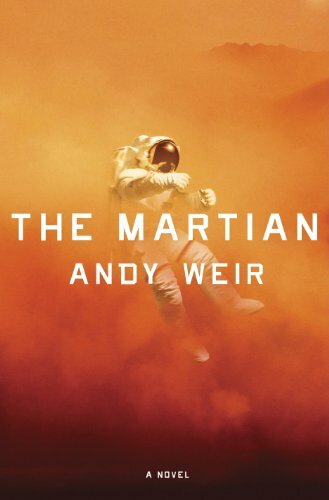 Best Science Fiction Kindle Books number 6 is “The Martian” by Andy Weir is a Robinson Crusoe type novel about an astronaut who is left for dead on the surface of Mars. During a Martian sandstorm that threatens the ascent vehicle that can lift the Martian expedition off planet after only 6 days when NASA decides to abort and evac the team before the ascent vehicle is too badly damaged. However, the winds gust to 175 Kilometers an hour tearing away the transmitter array and associated reception antenna that impales and drags astronaut Mark Watney out of the habitat when it smashes through the bulkhead. The remaining team members board and lift off thinking Mark is dead. The rest of the story chronicles his ordeal of staying alive on a hostile planet all alone. Checking in at number 7 is “Wayward” by Blake Couch. In book two of the “Pines” series we revisit Wayward Pines and the evolutionary horror that has spawned outside it’s fenced in confines. Ethan Blake the protagonist of the previous book is now the Sheriff tasked with protecting the town and its inhabitants from the degenerate spawn of humanities genetic decent into chaos. For Wayward Pines is the last refuge of the pure strain of humanity. Where for 1800 years the people were keep suspended in time to be reawakened and begin repopulating the Earth. Something else is awakening as well that may doom the town and all of its citizens and Ethan Blake is caught in the middle. This series a twist on the Post Apocalypse genre, which makes for a riveting story you wouldn’t stop reading til you get to the end. 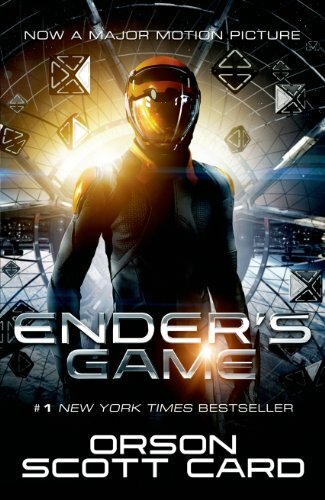 Number 8 “Enders Game” by Orson Scott Card as many of you are aware from the days of Analog Science Fiction when it was a short story. It was later expanded into a full-length novel and now a major motion picture and the first book in a 5 book series. Humanity is at war with an implacable foe that will not rest until Earth itself is destroyed. Earth must have a War leader who would make Caesar look pale by comparison. But, that leader must be created and trained almost from birth. That is the purpose of Battle School. To prepare the one who can save humanity. This is the story of the boy who was forced to become the greatest warrior in the history of the humankind. This version is the movie edition released to coincide with the theater release. 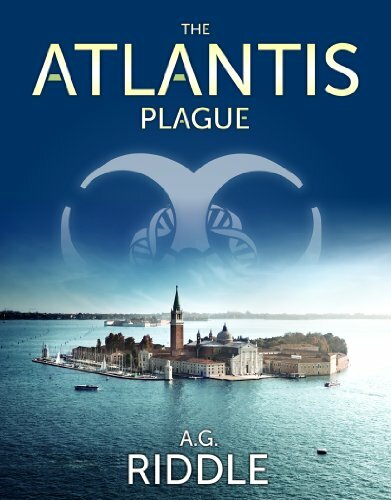 Reaching to number 9 so far is “The Atlantis Plague” by A.G. Riddle the second novel in the Alatis series. The Great Pandemic is spreading 1 billion are dead. Some are evolving into Atlanteans while other are devolving into bestial creatures that have become the new predators. Kate Warner from The first novel is back and she races against time as humanity faces extinction and the Immari wait to let the superior Alantean breed take over while the rest of the world dies. Kate must travel the world and discover a cure and in the process, she discovers that evolution and history we know is wrong and the truth is far stranger than she could ever imagine. This book is more complicated than the first and takes a bit of thinking to wrap your brain around. But, it is a thrilling adventure from start to finish. 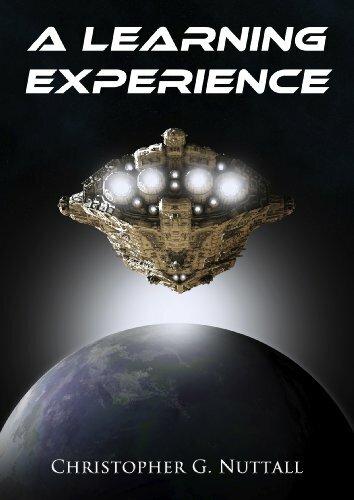 Number 10 on our list of Top Kindle Sci-Fi is “Mind’s Eye” by Douglas E. Richards and starts with a man awakening in a dumpster and is receiving telepathic messages, which starts a whirlwind thriller that delves into the power of the human mind and the vast potential for good and evil that lies therein. This is a book you will skip meals and give up sleep for. You have classic space adventure. Fans of Chris Roberts Wing Commander and of Battlestar Galctica all the way back to John Rackham’s “Beyond Capella” in the 60’s will have a great sit-down with the feel like it’s a WW II air and sea battle ala Victory at Sea all over again. At 400 pages it will keep you busy for a few nights or on the train ride from work. If you want to look at these and many more kindle Sci-Fi feel free to point your browser: there you have it the Top Ten of the best Science Fiction Kindle Books.